Equities.com® is a fintech company connecting emerging growth companies, global investors, executives, fund managers, financial experts, and industry professionals on one platform. Equities.com® provides trading services, breaking editorial news coverage, and financial information on public and private companies. 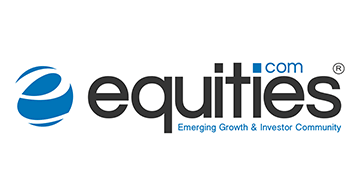 As an emerging growth and investor community with over 4.2 million visitors per year, Equities.com encourages investors to trade and consume independent news, content and data on fast growing companies while highlighting emerging market trends. Equities.com® helps public and private companies gain visibility in front of millions of potential investors, influencers, and decision-makers.